Join Sister in Crime J. M. Green for the launch of her debut crime novel, Good Money, by Toni Jordan”. 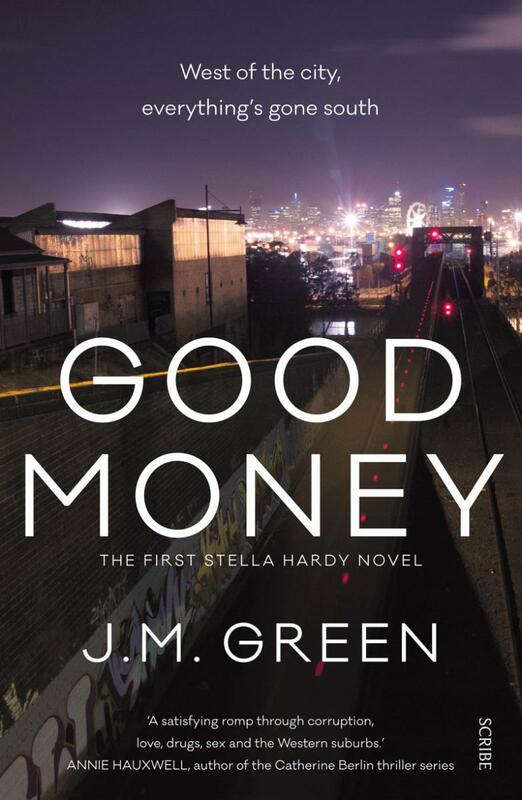 Good Money was shortlisted for the Victorian Premiers Literary Award for Unpublished Manuscript 2014. Green studied Professional Writing and Editing at RMIT. Her work has appeared in Overland and she is currently working on the second Stella Hardy novel, Too Easy. “Gritty and terrifically engaging, this hardboiled story with its matching prose had me hooked from the first page. Leading lady Stella Hardy is a charming mix of chaotic and cool. She had me grinning like an accomplice as I read. The authentic characters and dry humour lift Good Money to that most satisfying place — unique, intriguing, quality crime. Green is an assured and bold new author doing already what great crime novelists do — delivering a bloody good story.